It has taken British rock legend Deep Purple over seven years to come up with a sequel to Rapture of the Deep. That is a long time, especially given the more advanced age of the various band members (ranging between 58-67), and I am sure there will have been people out there not even expecting another studio release by the band. 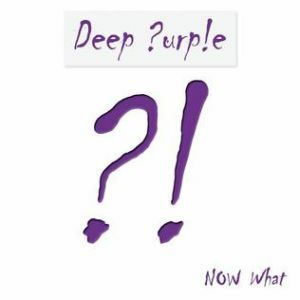 Last month, however, Deep Purple decided to grace us with the appropriately titled Now What? !, and boy, is it good. Of course, Now What?! is no Machine Head or In Rock. There are simply too many of the elements of those days missing for the new album to be reach that kind of brilliance. However, it may very well be the best Purple has released since 1984’s Perfect Strangers, and that’s saying something. The band’s 19th effort is rock solid from the humble beginnings of A Simple Song to the very last notes of the unexpectedly epic Vincent Price, with nary a dull moment in between. Starting out with the relatively mellow sounds of A Simple Song, starting out as a moody ballad and turning into a stomping rock song halfway through, with a huge role for Don Airey’s antics on the Hammond. It’s also an amazingly catchy song, which can be said for the lion’s share of the songs on Now What?! It’s all very hard rocking fare, and the band manages to sound quite heavy from time to time. There are some rock solid riffs on this album, and they make a few of the songs sound meaner and more aggressive that we’ve heard Purple in quite a while. It’s hard to pick some standout tracks from the eleven songs on here, because the bulk of the album is quite good. There’s the great, old-fashioned guitar/organ duel in the up-tempo Hell to Pay, the bluesy Body Line, the decidedly Hammond-driven Above and Beyond and Uncommon Man (both dedicated to the late, great Jon Lord). Then there’s the very solid and catchy first single All the Time in the World, and the spooky horror homage Vincent Price, with its synth choirs and church organs, and an Ian Gillan ending the album with the kind of blood curdling scream I did not know he was capable of anymore. In the end, Now What?! is a terrific album. Perhaps not a classic like some of the stuff Deep Purple released back in the seventies, but an extremely enjoyable rock album nonetheless. It also very well might be the last studio album ever puts out. If that’s the case, though, Deep Purple are going out with a definite highlight. A highly recommended record for any classic rock fan out there. This entry was posted in RP and tagged Deep Purple, earMUSIC, Ian Gillan, Jon Lord, Now What? !, review. Bookmark the permalink.